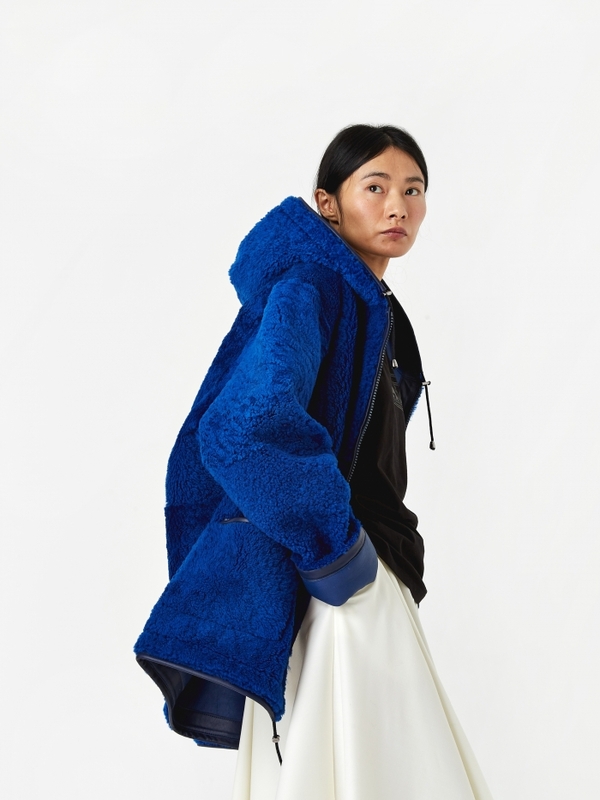 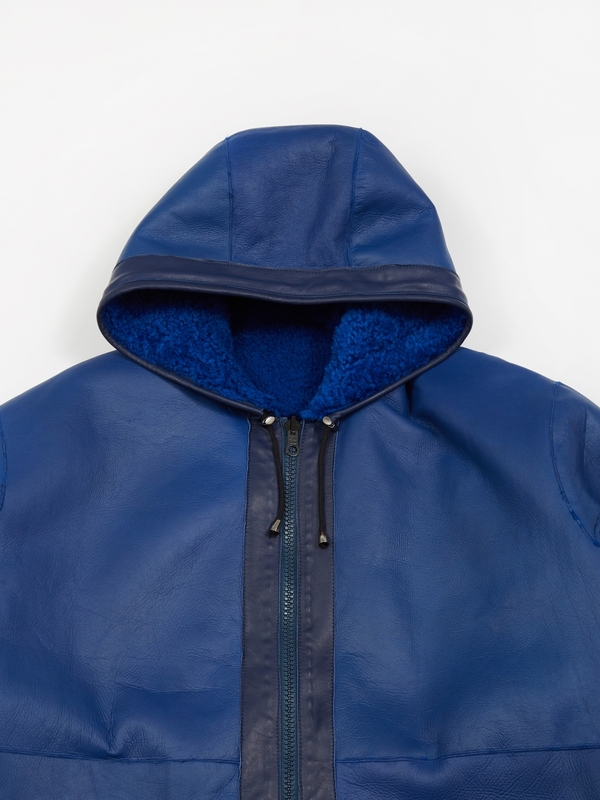 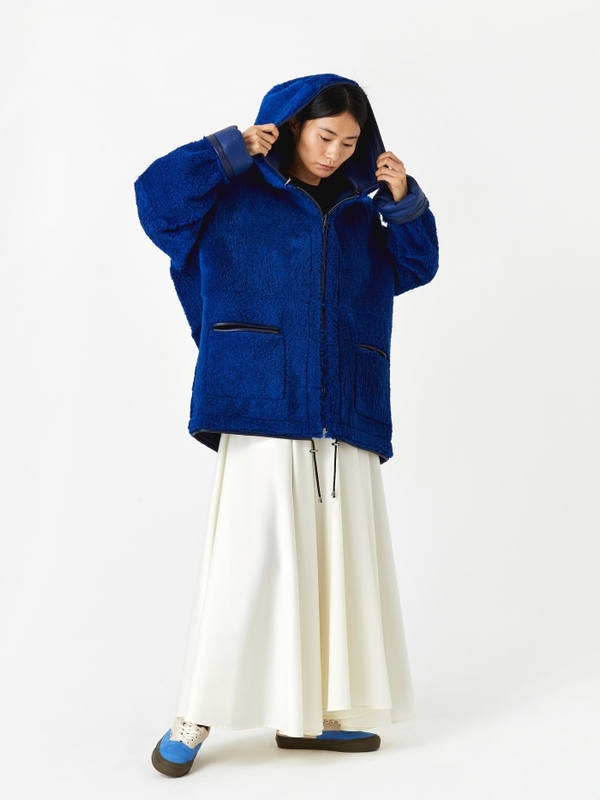 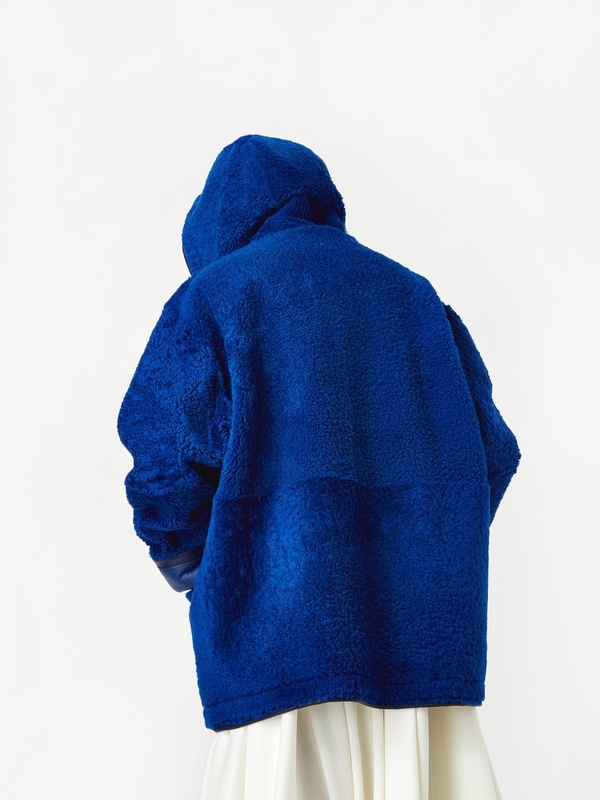 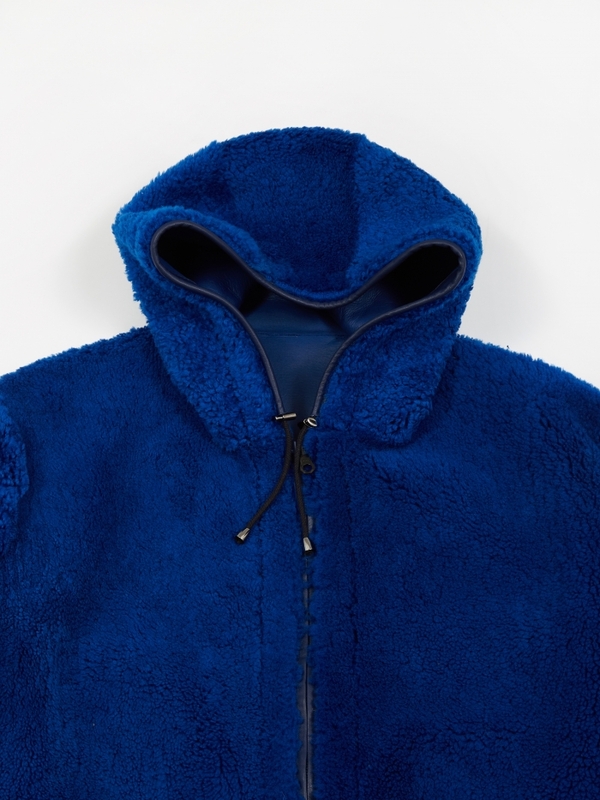 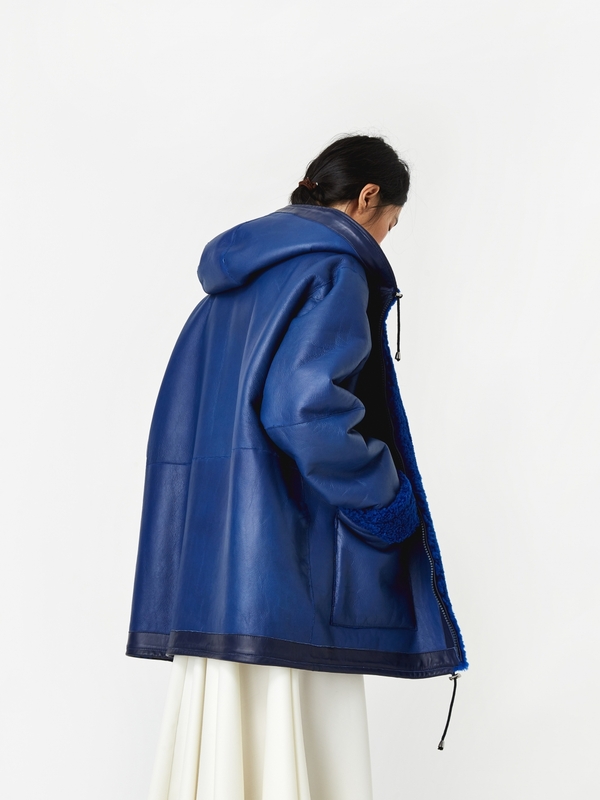 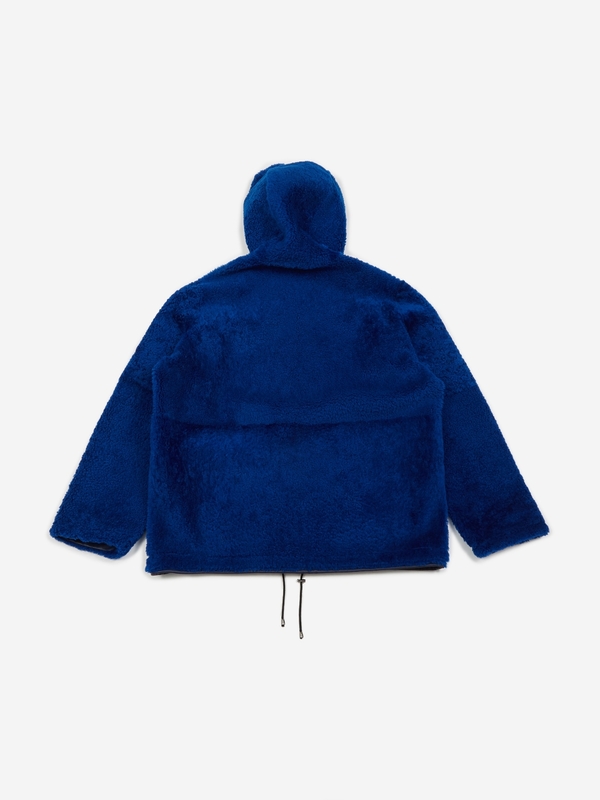 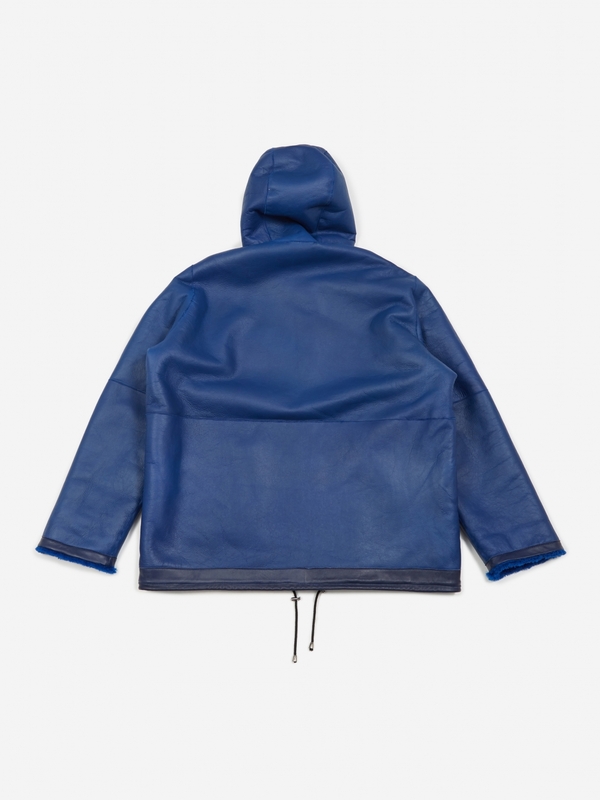 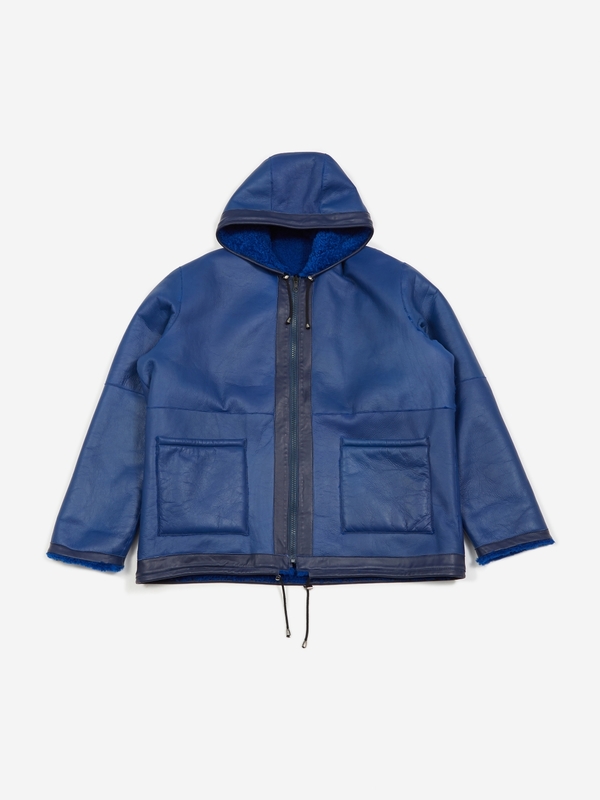 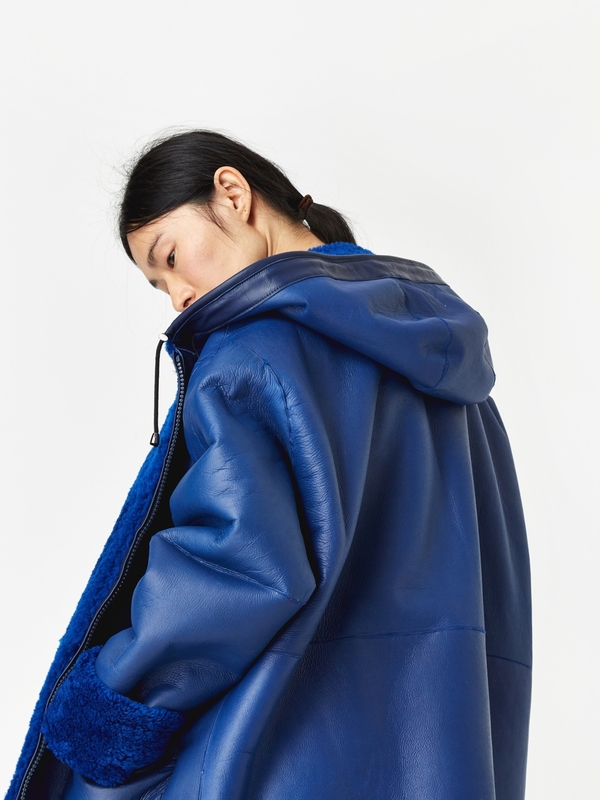 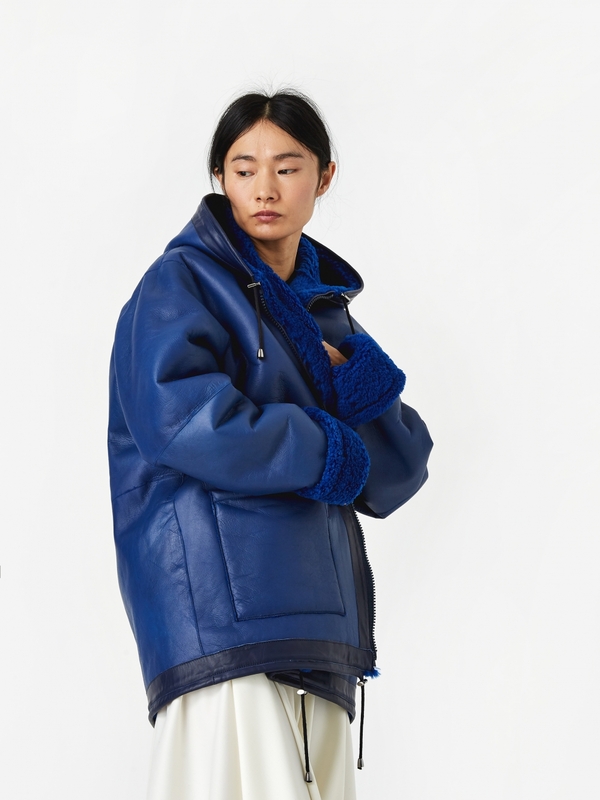 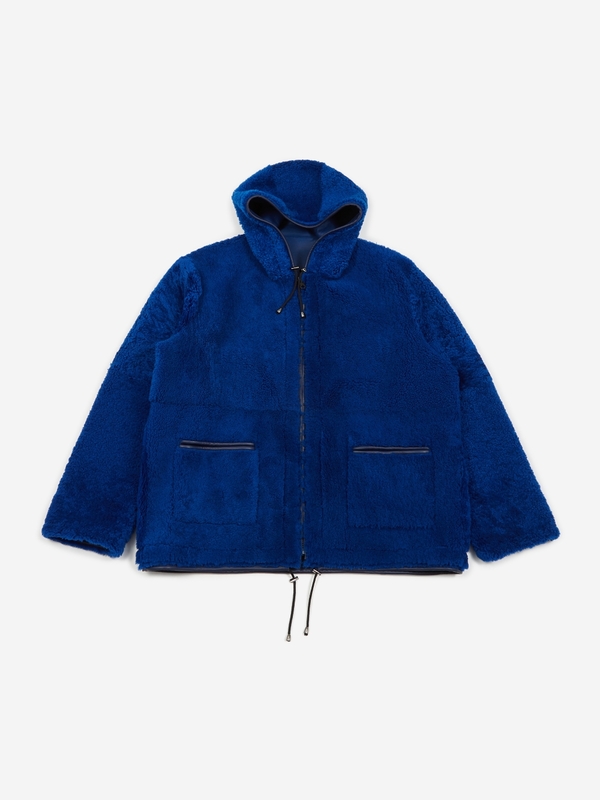 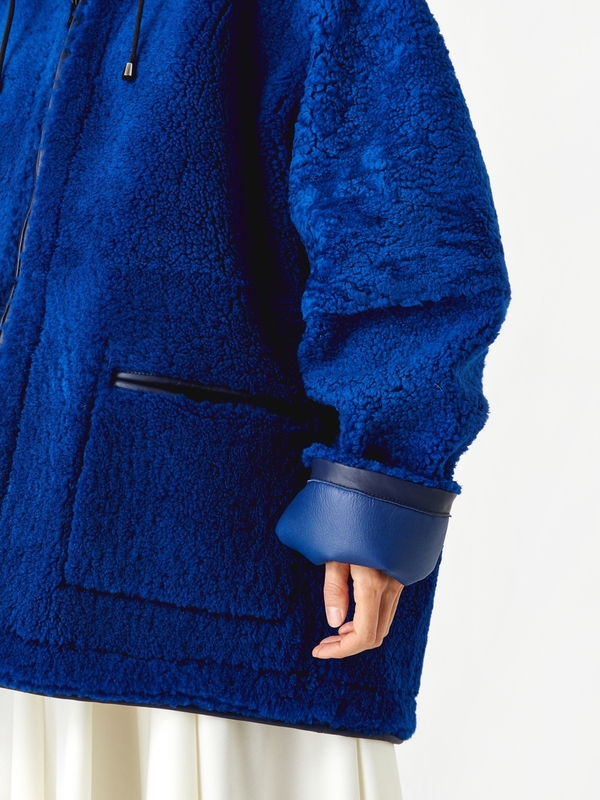 Aries Hooded Sheepskin Jacket in Blue. 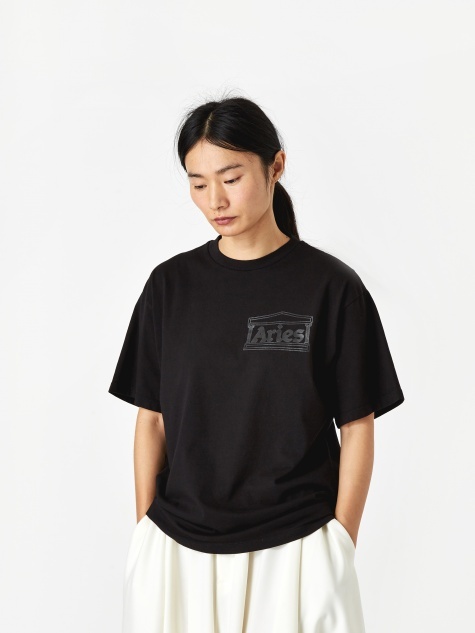 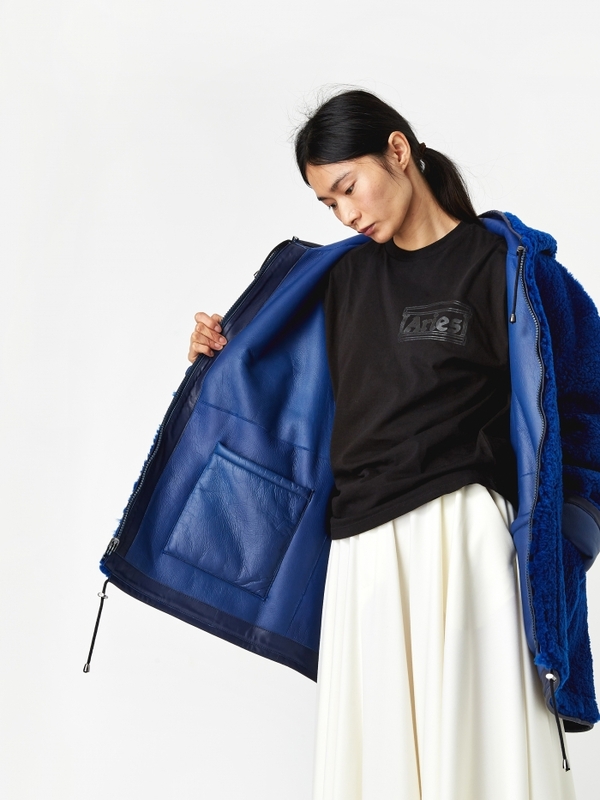 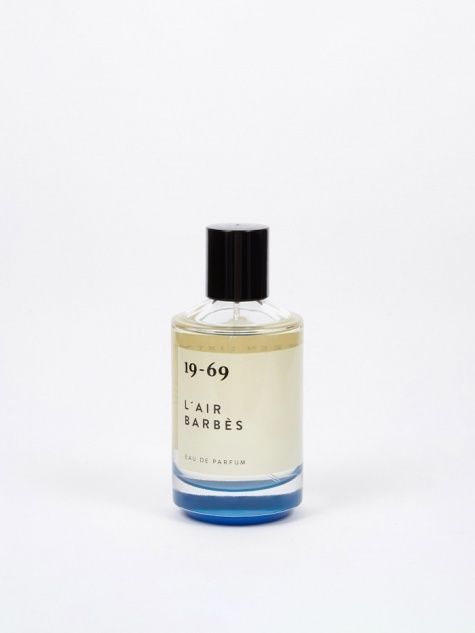 Formed by dream team duo Sofia Prantera and Fergus Purcell, Aries is a brand that draws on the pair’s vast, inimitable knowledge and experience, translating into an output that’s totally unique. 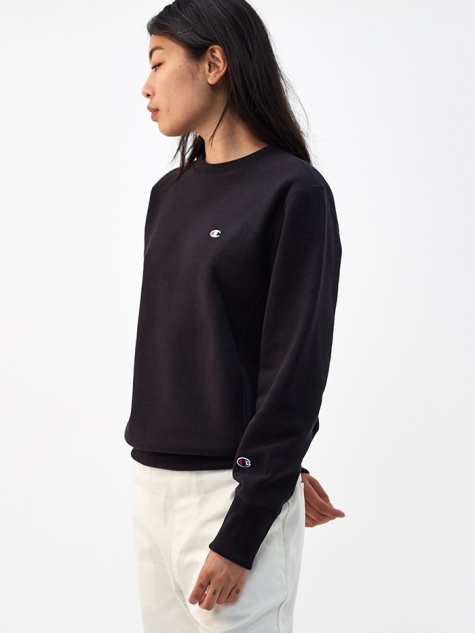 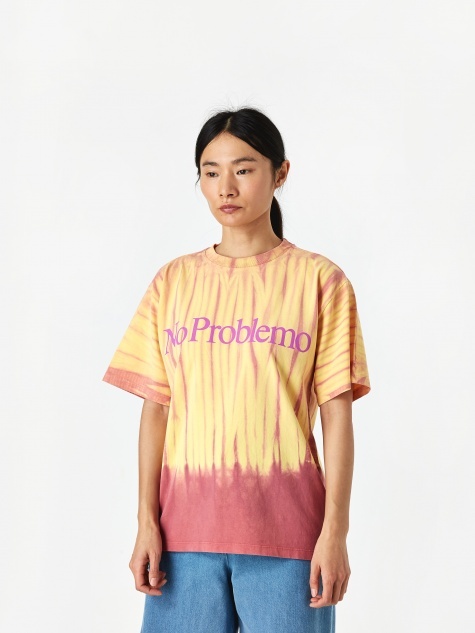 Graphics that are second-to-none, underground references, acid tie-dye, faux fur, print and more collide, resulting in some of the most forward-thinking apparel there is today.